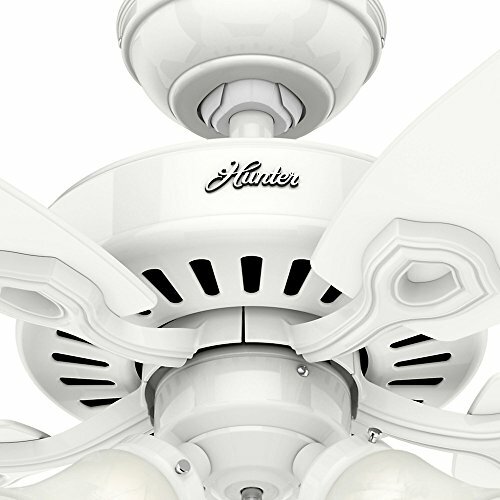 When you've arrived at that place where you're simply unwilling to settle for anything less than the very best, you're ready for Hunter's Builder Plus. 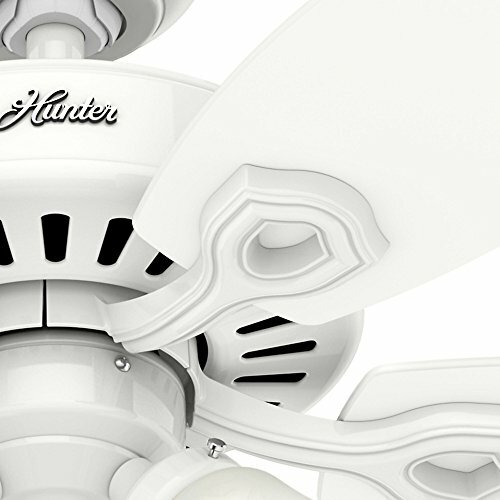 Builder Plus ceiling fans are more than just beautiful-they're painstakingly designed and carefully crafted. 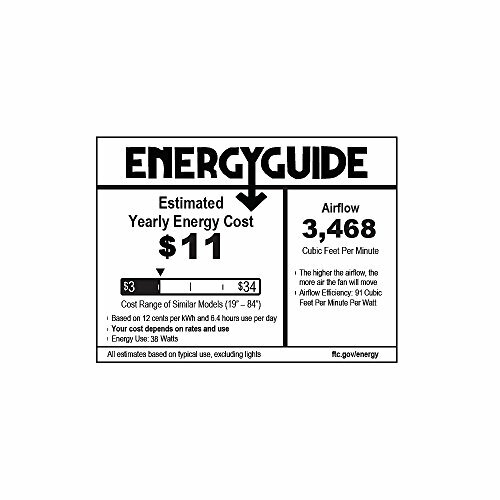 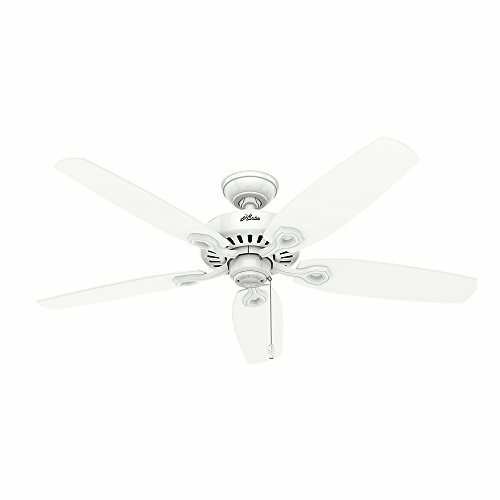 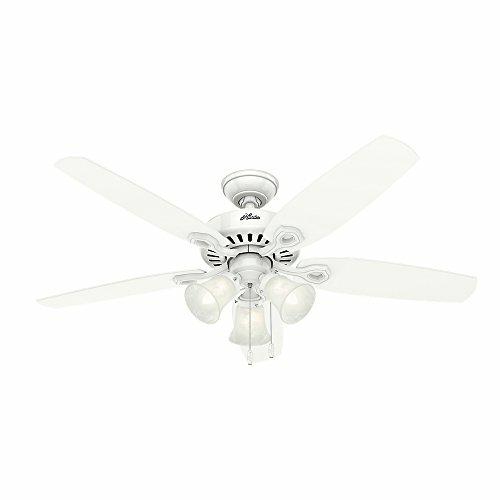 This is a fan you can count on for unmatched performance, a great price and easy installation. 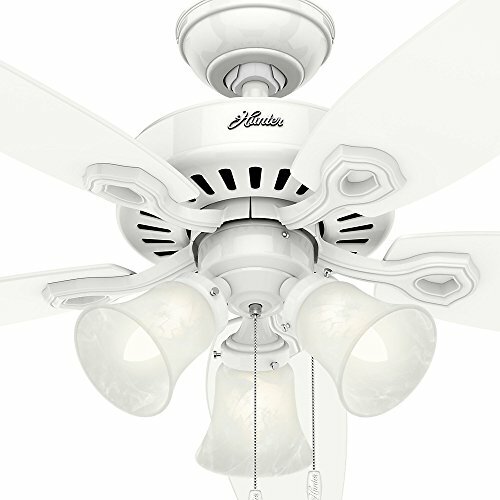 Uncluttered style in a snow white designer finish with five snow white blades blends seamlessly with your decor. 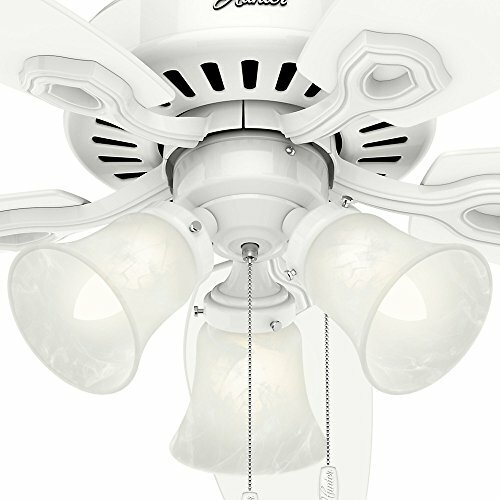 The simple light fixture features a snowflake linen glass bowl and uses two 60W candelabra bulbs (included). 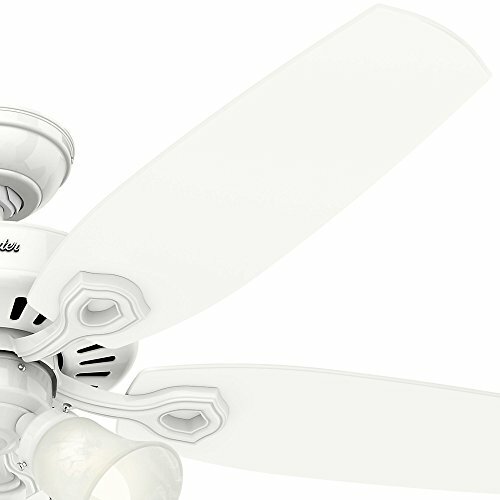 High performance, Whisper Wind Motor delivers ultra-powerful air movement with whisper-quiet performance so you get the cooling power you want, without the noise you don't.